Consistency is the key word characterizing HC Meshkov Brest’s performances in the VELUX EHF Champions League in recent years as the Belarusian team reached the Last 16 for three straight seasons. However, the club’s ambitions go further, and Brest hope that new head coach Manolo Cadenas will use his vast experience to pave the way to new heights. - How realistic is the club’s goal to reach the quarter-final? Brest’s bosses dream of winning the VELUX EHF Champions League some day, and after playing in the Last 16 for three consecutive seasons, they see reaching the quarter-final as the next logical step towards the ultimate goal. It will be hard, given the level of opponents, but the Belarusian champions are certainly competitive on that level and making it beyond the Last 16 might be quite realistic. “Our group is strong, and maybe some other teams have better chances as their squads are stronger. But there is no limit to opportunities. Why can’t we reach the quarter-final? We will try,” head coach Manolo Cadenas says. - How will Cadenas change Brest’s playing style? While the previous Brest’s head coach, Sergey Bebeshko, preferred a classic style of handball, his successor has a modern approach, which implies fast and dynamic play. The team’s style is changing, which has already been visible during preseason matches. However, a learning process is never smooth and it will take time for the players to adjust to the Spaniard’s requirements. - Can they compensate for losing Rastko Stojkovic? Ever since his arrival at Brest in late 2013, the powerful Serbian line player has played a key role in the team and scored a lot of goals. But this summer, the 37-year-old veteran opted to continue his career at Israel’s Maccabi Rishon LeZion. Without him, the position of a line player will probably be less productive – Vid Poteko and Viachaslau Shumak are good defenders, but it will be hard for them to contribute as much in attack as Stojkovic did. The 29-year-old Croatian has become almost a veteran at Brest, going into his sixth season with the club. During that period, the goalkeeper has improved a lot and become a key figure of the team. Despite the interest from Pick Szeged and Vardar, Pesic extended his contract with the Belarusian team until 2022, and his dream is to win a big trophy with Meshkov. Playing in the Last 16 of the continental top flight for three straight years has boosted Brest’s self-confidence. “I think we have correct and ambitious goals. We have to reach the quarter-final, no matter how strong our group is,” chairman Alexander Meshkov says. Last season, Brest had a very tough schedule as they participated in the VELUX Champions League, SEHA League and Belarusian league. A few times they even had to play two matches of different competitions on the same day. That’s when their broad roster came handy as they obviously had to use different players. 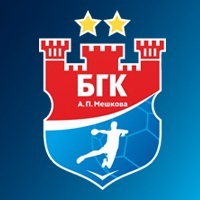 Brest have become a Belarusian champion in each of the last five seasons. The team had a similar successful series in the 2000s, when they won 5 straight titles between 2004 and 2008.